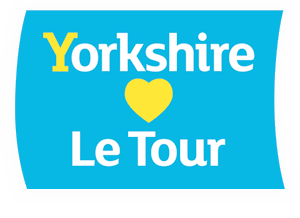 The Tour de Yorkshire comes to Penistone – again! Stage 2 ofthe race will pass through Penistone town centre on Friday 4th May 2018 and will also go through the neighbouring towns and villages including Cawthorne, Silkstone, Hoylandswaine, Springvale, Oxspring, Hood Green and Stainborough. Details have yet to be finalised but information will appear in the Events section as soon as it is available. Penistone has always had a variety of shops, perhaps more than you’d expect for such a small town. Thursday, the main market day has always been traditionally busy and weekends now feature specialist markets. Shopping locally is not only convenient, it also helps to maintain the traditions and variety for which Penistone is loved. Please note that this is a work in progress and more info will be added over the coming months. If you’re interested in having a page on this site (you can see an example here) please go to the application and membership page. Visit Penistone gets thousands of visitors every month and could be an effective help in promoting your business – and it also helps to prmote the region at large. Developed and maintained by the Penistone, Peak and Pennine Tourism Group. For information about us, our work and how to join go to ppptg.org.uk. The High Street section of the Visit Penistone website has been made possible with the kind help of Penistone Town Council, nm4s.com and contributing members of the local business community. Please support your local businesses.